Even if you don’t make regular car journeys with your pet, you never know when you might need to transport them somewhere. Meanwhile, if you do drive with your pet in the back (or front!) seat regularly, it’s important to make sure you’re doing everything you can to make sure they’re as comfortable as possible. 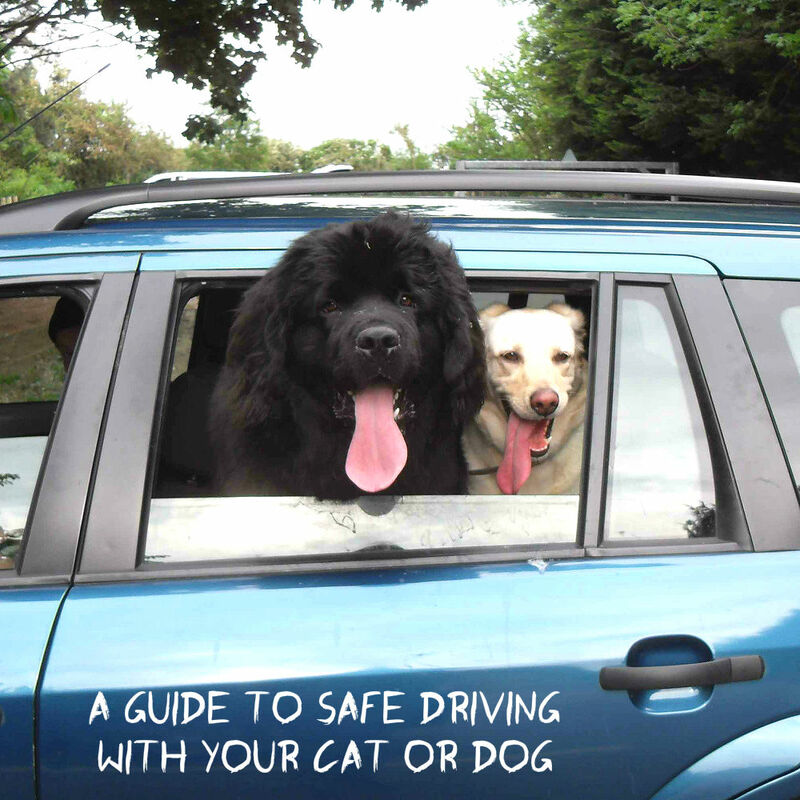 Follow these tips to keep your cat or dog happy on the road. If you’re planning a long journey get them used to being in a car by taking them on shorter trips beforehand. Bring along their favourite toy or blanket to help them feel more at home in unusual surroundings. In most cases it’s important to restrain your pet for the safety of everyone travelling in the car. Their movements can prove a distraction to the driver. Small dogs and cats should be in a suitable container, while larger dogs can wear specially designed dog seatbelts. While some owners will feel comfortable letting their dogs travel loosely in the car, it’s worth bearing in mind if you’re planning on travelling abroad that in some European countries this is actually illegal. As with the previous tip, make sure they’re accustomed to their container or restraint before setting off for your journey. Add your vet’s phone number to your mobile in case you need to contact them in an emergency. If you’re travelling a long distance find out beforehand where the nearest vet will be. To avoid causing undue distress, you shouldn’t travel with an ill or injured pet (unless the illness or injury is minor, or you are taking them to the vet for treatment). Heavily pregnant pets that are likely to give birth during the journey or those that have given birth in the past 48 should also be spared the demands of a car journey. Feed your pet a light meal a couple of hours before the journey – it won’t want to travel on a full, heavy stomach. You should ensure that your pet has continual access to water. Bring food or snacks with you if your journey is a long one – just remember to keep meals light. The vehicle, and any container your pet might be in, must be kept well ventilated to stop your pet from becoming overheated. Long haired dogs, those with breathing problem and snub-nosed dogs are all at higher risk of heatstroke. If you suspect your dog is suffering from overheating – their panting will become heavier and faster, they will become visibly agitated, and they will produce more saliva than normal – you must act immediately to allow them to recover quickly. Take it to a shaded area, give it plenty of water to drink, and cool it by spraying it with cold water. It’s never a good idea to leave your pets unattended in a car, but under no circumstances should you ever leave one in a car in high temperatures or direct sunlight. Even a few minutes in temperatures above 25C / 77F can present a health risk. If at all possible you should take breaks. Dogs can be taken for short walks, while cats will enjoy the opportunity to move around the car freely even if they can’t be let out. Use this time to give your pet some much needed comfort and attention. Written by Lionel Thain of online competition site MyOffers. Visit them at MyOffers.co.uk for a chance to win petrol, insurance and even cars. *Post in collaboration with MyOffers. < Previous Nowhere is safe these days! Thank you for quality information you have give!!! These are very useful tips. Now I go with my dog. This is a very simple yet powerful guide. Pets deserve our love and respect. Stella accompanies me most days in the car so I got her a special harness and seatbelt attachment. I used to have a dog gate but she always managed to escape into the front! We never tried harness, but due to size it might be hard for us, as they can’t really travel on the seat. We opt for a giant boot and this is there home in the car. It never ceases to sadden me when I see pet owners who don’t follow the suggestions you make above… Common sense should make us act in the best interest of our pets. Enjoyed your tips. Wonderful post! Pet owners could really value reading this as so often we hear of pets not being properly looked after either during a car ride or when the vehicle is parked and a pet is left inside. I will never understand how people can leave their pets in hot cars, especially when it is closed tightly with all windows shut. We should have a law against it. Great tips. I remember when I had a dog it would always try to get into my lap and the that wouldn’t be a problem if the dog was little but I had a big lab so it made being in the car very difficult. Great tips if you have a pet. Great tips! I wish my dogs were that good they want to “run” around the car from window to window most of the time. Ours are very calm in the car. I think they both like driving motion and it is just chilling them out. No crazy running at all. i agree with restraining your pet, too many times I worry when I see people’s dogs 1/2 way out the window while they are driving. 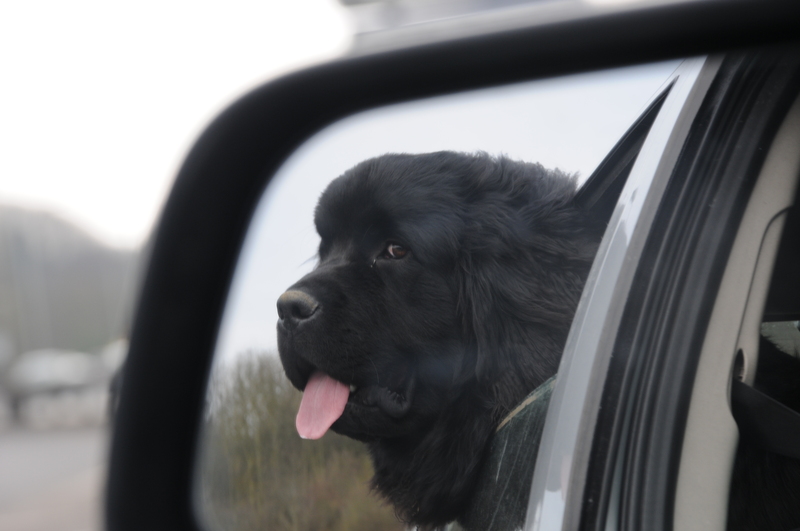 We used to do it sometimes when Bunk was traveling on the back seat… open the window just enough for him to stick his head out, but it might cause serious eye irritation, so we stopped it and he is no longer allow to travel this way. It is nice when dogs love car trips. One of our friends have a dog which totally dislikes cars and it is causing so much stress at time for them and the dog itself. I am so happy my two love to travel. Lilly even likes trains 😉 she went with me on London Underground few times and looked very happy about the experience. These all sound like really nice tips. I do not have a pet but if I did, I would be able to travel with them. Thanks. Very good tips! I wouldn’t have thought to put the vet on my speed dial. When we go to Poland, we drive, so every year before the trip we put down vets numbers every 50 km or so… just in case… as you never know what might happen. We never had the need for them but it gives me a piece of mind. Great tips Agata! When I travel with my kittens we always keep them hydrated and occupied – there is nothing worst than crying kittens the whole journey! We always travel with cats in their crates. They hate crates so they are actually sulking all the way, which makes it a very silent journey. What great tips! It always breaks my heart when I see someone leave their pet in the car or take them on long walks with no water. Something every pet owner should read! These are great tips! My dog used to travel with me back and forth from the Eastern part of the country to the Midwest and safety is really, really important for both your pet and the driver. When I was 12, I was walking on our road right after school, and my 16 year old sister and her friend drove past me. They were taking our cat somewhere, and they didn’t have him restrained. My sister had him on her lap and made his paw wave goodbye to me as they passed. Right after they passed me, literally about two seconds later, they went over the hill and I heard them wreck. The cat had gone wild in the car and caused the wreck. The car flipped and they ended up in the hospital. We couldn’t find the cat. Over a week later, some nice family saw a cat on their deck and called us to ask if it was our missing cat. It was!! I was so happy to see him. We thought he was dead. He only had a little scratch above his eye. He came out in much better shape than the girls. The moral of my story: it’s very important to restrain your pet. It can happen in no time. My sister and her friend were less than a minute from our house (leaving it) when they wrecked. This must have been an awful experience. I am glad both your sister and friend were fine and you got your kitty back. I see people driving all the time with their huge dog jumping all over their lap. It’s all just an accident waiting to happen without restraining them. Wish I could make them read this post somehow. Some countries have a law against it. Dog has to be crated or at least in the harness and using a seat belt. We need a law like this as well, for the good of the pets and general safety. Very informative. Having the vets number easily to hand is a great idea. We are off to Poland in a few weeks time so it is time to start preparing for a long drive. Fancy a trip to Poland? We have room for more guests?